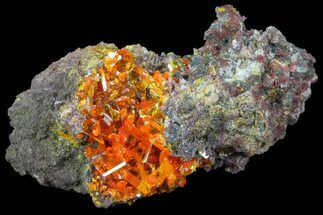 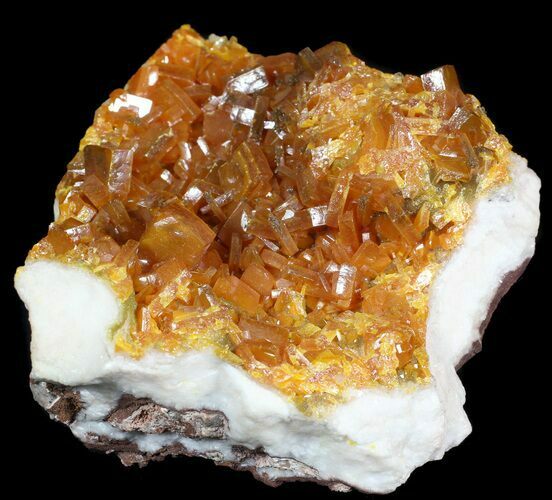 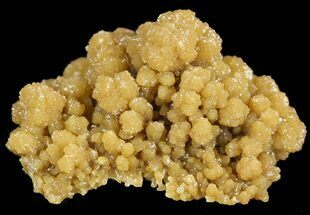 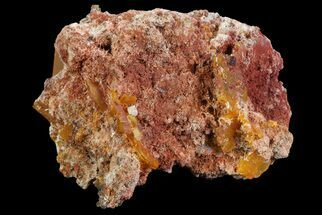 This specimen contains pristine, red-orange wulfenite crystals on a white matrix. 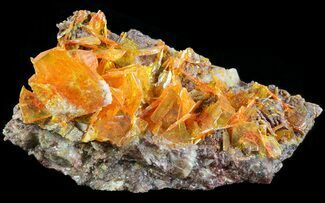 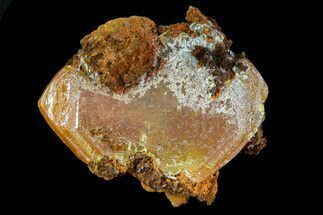 The wulfenite crystals are quite sturdy, with the majority being undamaged. 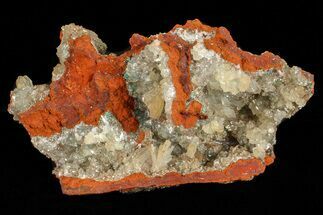 This specimen was collected from the Eruption Mine in Chihuahua, Mexico.